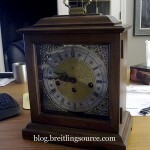 I decided I wanted something fancy to decorate my den with, so I’ve been buying up clocks on ebay as well. Trying to keep the budget low to keep with my affordable theme as of late. Recession buys! 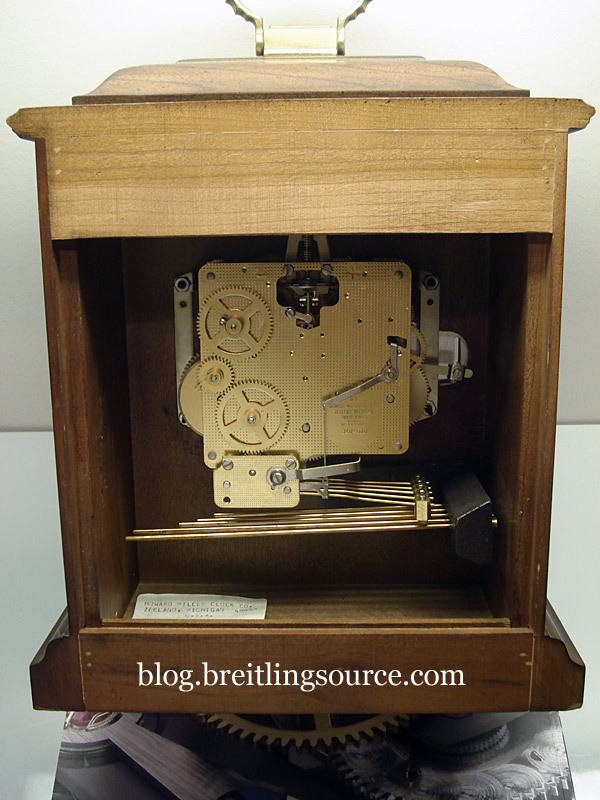 Well, this Howard Miller clock is a wonderful little toy, and chimes very nice as well. These cost around $900CAD in stores around here brand new, and I picked this one up on ebay for $100US. Not too shabby. 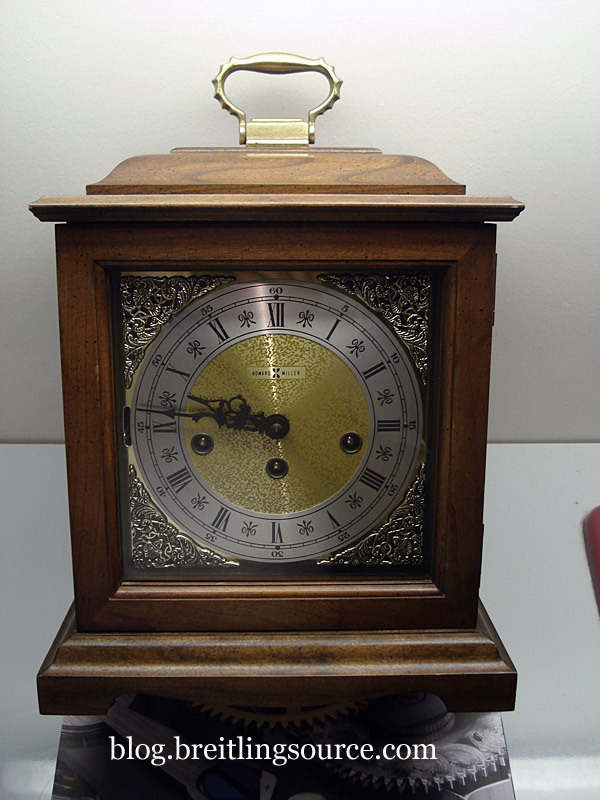 Has a great little westminster chime and quarter hour strikes as well along with an 8 day movement made in Germany by Hermle. I took some pics of it under the light to get a better shot. It has a Key Wind movement, with an 8 day power reserve. It has 3 spots that need to be wound, one for the time, one for the strike and one for the chime. 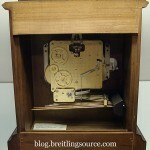 The Clock is made by Herman Miller, but the Movement is made by Hermle, so it is kind of like a Watch with an ETA movement in it. And finally, a shot of the big chunky movement inside. The clock is really quite fascinating and you can regulate it yourself quite easily be just adjusting the floating escapement. It can be adjusted by many minutes if the watch is too fast or slow. 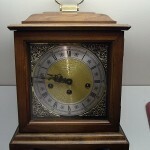 The chimes can also be turned on or off depending on your preference. A very nice addition to the office, and for $100, can’t really go wrong with them! 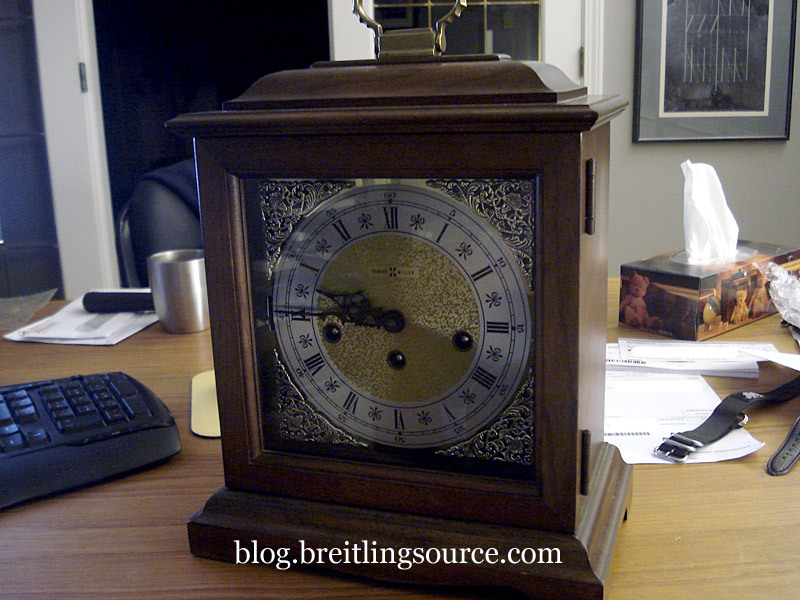 I picked up some other clocks too that I’ll talk briefly about in the coming days. Hey guys, Finally posted my PAM250 video on Youtube.. Hope you guys enjoy it. Its a nice PAM, with a somewhat more modern look due to the all brushed look with the tachymetre on the bezel. Its on a Sandave Crocodile strap, which is a nice look, though not for everyone. Hope you enjoy the video! Now its easier than ever to time your watches.. no more setting the time to the atomic clock and wearing the watch for 24 hours and checking it against the atomic again. 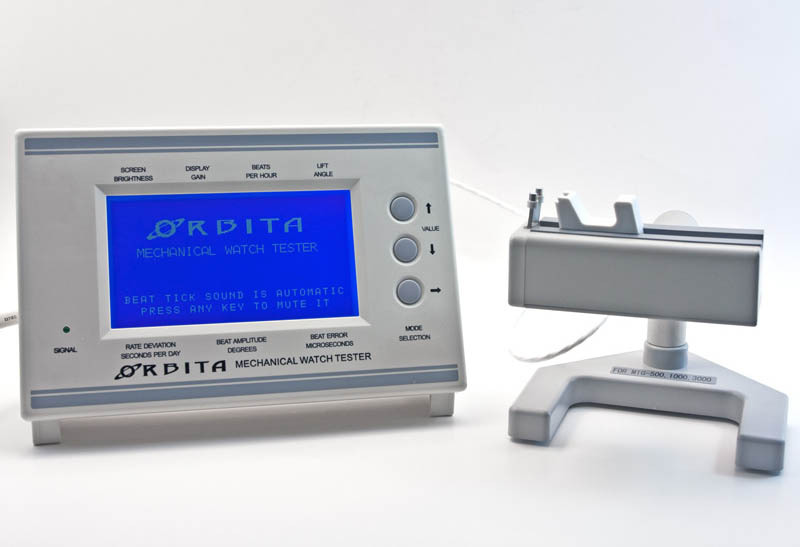 Now you can just purchase the Orbita Mechanical Watch Tester and find out your watches timing error within seconds. Mr. John B Holbrook II has also reviewed the device and his review is available on the Orbita site. I’d love to get my hands on one of these, but at $1000 its still a bit too pricey to keep as a toy. And no doubt it will end up costing me even more money since I will have to service and regulate my watches even more often because of it! But then again.. my reviews will have some interesting information that they did not have before, now won’t they? hmm. 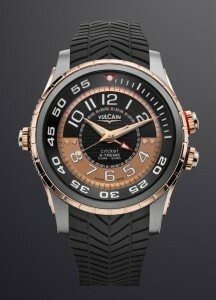 The Vulcain Cricket was introduced in 1947 as the worlds first mechanical wristwatch with alarm, and today continues their tradition of creating reliable watches with their unique alarm complication. 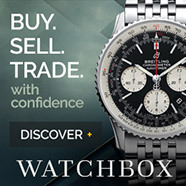 Their current marketing campaign includes a lot of advertising in which they claim “Worn by US Presidents” in the ads. A couple notable presidents to wear the Vulcain Cricket are Richard Nixon (1969–1974) and Dwight Eisenhower (1953-1961). Since they are relaunching their brand, Barack Obama will be the first present in many years to receive a Vulcain Cricket. The watch he will be receiving is the Anniversary Heart. The first president to receive a Vulcain Cricket was Harry Truman. The new Vulcain Crickets have a very forward and modern design, utilizing a lot of open heart techniques on the dial, exposting the rather beautiful Vulcain movement. 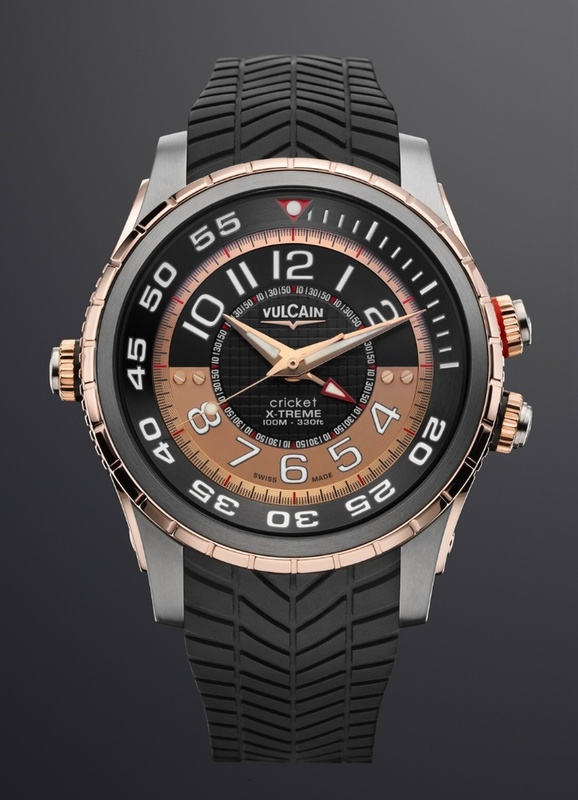 The new stuff out of Vulcain does involve a lot of Limited Edition watches with fancy packaging to entice the upper market that the watch is now targetted to. The Rose Gold Anniversary Heart is a beautiful watch, and I’d love to have one myself, but estimated cost will top $20K in Rose Gold. They do have some more affordable models, however. 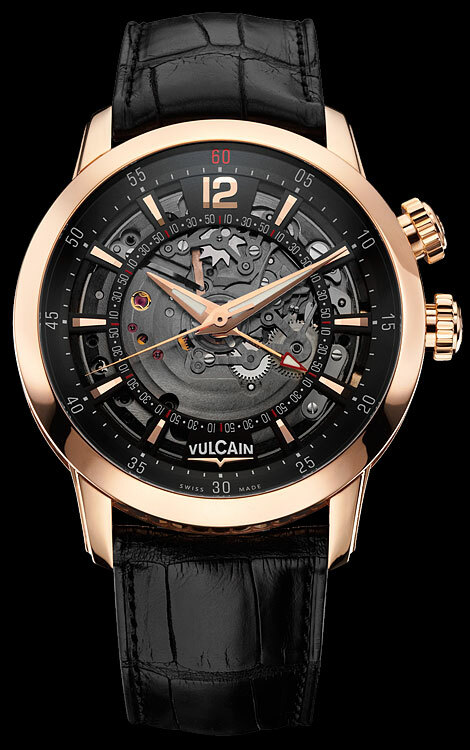 In addition to all the president buzz, Vulcain is also releasing its Self-Winding Caliber V21 at L’Heure AscH in Geneve between Jan 21st and Feb 7th, 2009. This will be Vulcain’s first self-winding movement, and will likely increase the amount of interest in Vulcain watches for the newer generation. The first watch to use this new movement is the Cricket GMT X-Treme in Titanium and Pink 18K Gold. Almost sounds like these guys are getting their naming inspiration from Zenith!